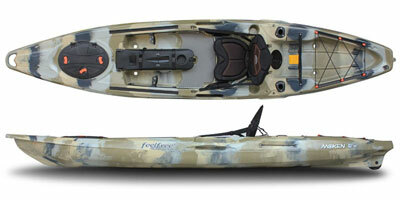 Sit on Tops that are specifically designed and outfitted for kayak fishing. A Wide variety of different models are available to suit everyone's needs/requirements. 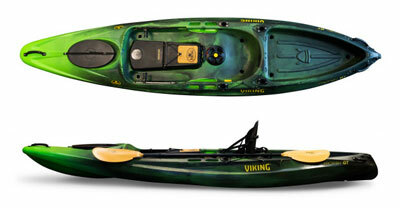 The Flagship angling kayak of the Viking ProFish range, the Reload is a feature rich fishing kayak that will handle anything you throw at it! 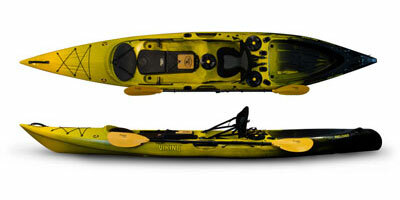 Featuring the Viking Tackle Pod - A removable Fish Finder and Tackle Storage Centre Pod. All of the great features found in the ProFish range, in a compact sizing with stability in mind. The GT's premium feature being the Viking Tackle Pod - A removable Fish Finder and Tackle Storage Centre Pod. 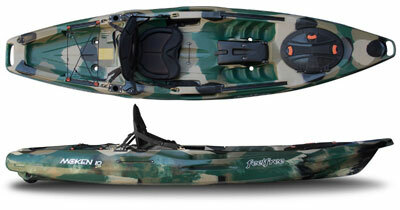 The Wilderness Systems Thresher 140 is a high performance angling sit on top kayak perfect for a range of paddlers abilities and capable of paddling on a range of different waters. Comes with the Airpro Seating System, plenty of storage space and options for mounting accessories.